Did you know that an estimated 30 million Americans are living with diabetes? At our West Caldwell dental office, we have helped patients of all ages diagnosed with diabetes maintain their oral health. 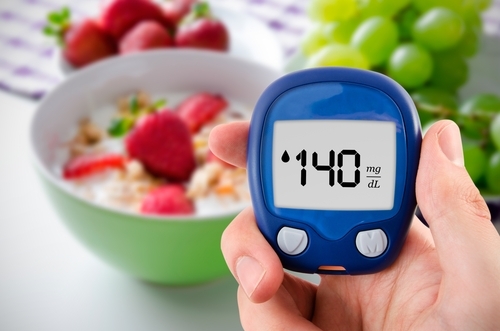 This is important because diabetes can leave you more susceptible to other issues such as periodontal (gum) disease, infections, poor healing, and dry mouth. There are a few key steps you can take to keep you and your mouth healthy. We recommend using a fluoride toothpaste to protect against tooth decay. Try brushing when you wake up and then before bed. A soft brush and soft circular motions tend to work best to achieve maximum cleanliness. Don’t forget to floss at least once a day to avoid plaque build up. If you have dentures, keep them clean, take them out nightly, and have them adjusted if they’re loose or uncomfortable. Having a diet consisting of healthy foods that are good for you will help keep teeth clean and your blood sugar balanced. Even patients who do not have diabetes should limit their sugar intake because it’s bad for teeth and overall health. Make plenty of veggies, fruits, and whole grains a part of your diet. Always be sure to work with your doctor and discuss a dietary plan that will work best for you! Everyone living with diabetes knows just how important it is to maintain their blood glucose levels. Did you know that keeping these numbers stable also helps oral health too? It’s true! If you’re numbers are not controlled properly, there’s an elevated chance of developing loose teeth, gum disease, and other issues — compared to non-diabetics. Like any other infection, serious gum disease may be a factor in causing blood sugar to rise, making diabetes more difficult to control. At our dental office in West Caldwell, our patients’ oral and overall health are of the utmost importance. We strive everyday to make sure they’re healthy, especially our patients who have diabetes. If you ever notice anything unusual happening with your mouth or teeth, please give our office a call right away. We’re always happy to help you and answer any questions you may have. We’d be happy to make an appointment for you too! Welcoming patients from West Caldwell, Fairfield, Roseland and beyond.